The B-Linic Clinic is a chiropractic care and hyperbaric oxygen therapy clinic located in Bend, Oregon with a second location in Portland. 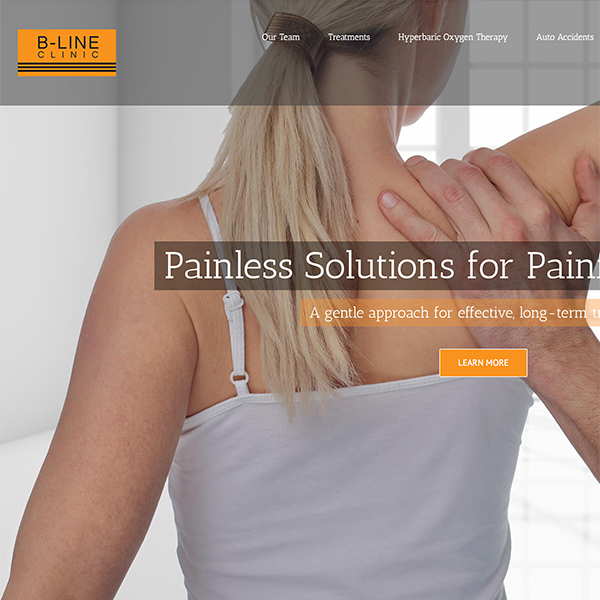 Replace current website with a modern, visually appealing interface to best reflect the high-level of personal care and services offered by the B-Line Clinic. Search engine optimized (SEO) content. Market analysis of new treatments and how to best reach new clients. Integration with online booking system. Complete website transformation using the latest in responsive web design. New patient treatments were highlighted and optimized for search engine ranking. All relevant search phrases ranked either #1 or #2 in google search results. Search engine optimization by DiBella resulted in an increased client base.